The same thoughts go for my travels as well. Sampling the local food is a surefire way to immerse into a new destination. I’ve done a big share of that here in Brussels, sampling the Belgian culinary offers with dangerous consequences. 😉 But hey, it’s food, so who I am to say no? My recent trip to Hungary had us going through the Budapest nightlife, getting the best out of the amazing ruin bars experience. But after every party, there is the usual appetite for some food. Hungary is not really known for its culinary prowess but it’s not an excuse for a chow. Here are some of my favourites and in my opinion, the must-tries! This is the food to die for … and literally death looks imminent after finishing one langos. Why? 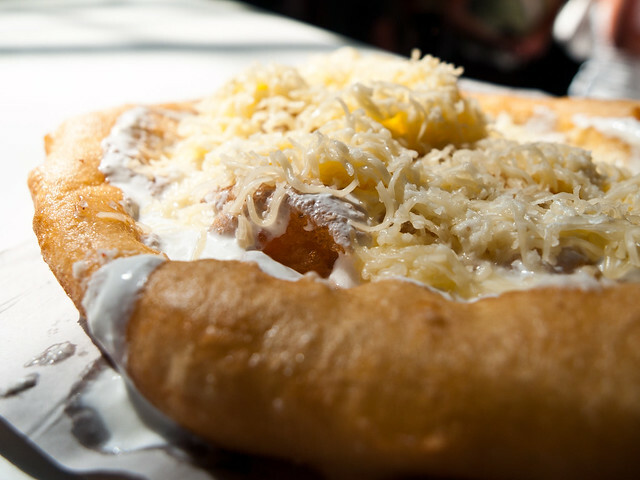 Langos is made with deep-fried dough smothered with your choice of toppings. It’s like pizza but deep fried and gleaming with oil. Like our favourite Italian dish, it comes with various toppings like ham, cheese, garlic, yoghurt and cream but you can also order it without any toppings. The sour cream and cheese combination is the most popular. Langos is best experienced after a long night out as it’s good for draining all the alcohol out of your body. Moving on to healthier pastries, we have pogacsa. 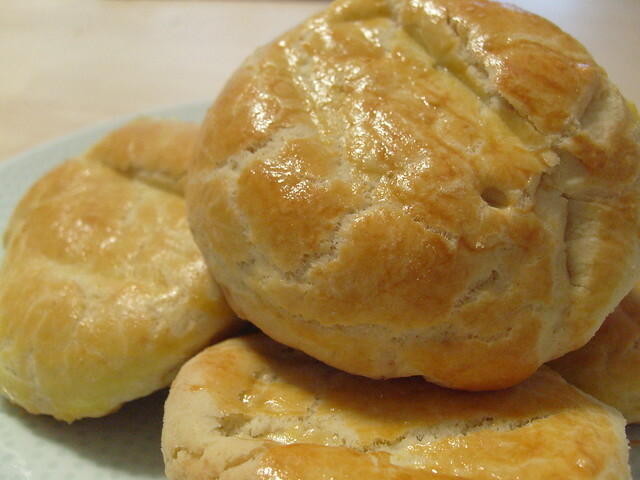 It’s a round pastry baked with cheese often mixed with the dough. The cheese makes it taste salty and sweet at the same time. It can also be baked with pork skin, cabbage and onions. It’s great for breakfast but can be consumed as a snack too. Pogacsa is a popular and staple food in the country. They are so well-regarded that they even have festivals for it. And they have reasons for celebrating this sumptuous bread. Travellers in Hungarian stories are usually depicted carrying pogacsa when they go on their trip! Retes is Hungarian’s answer to the German strudel (more like equivalent). 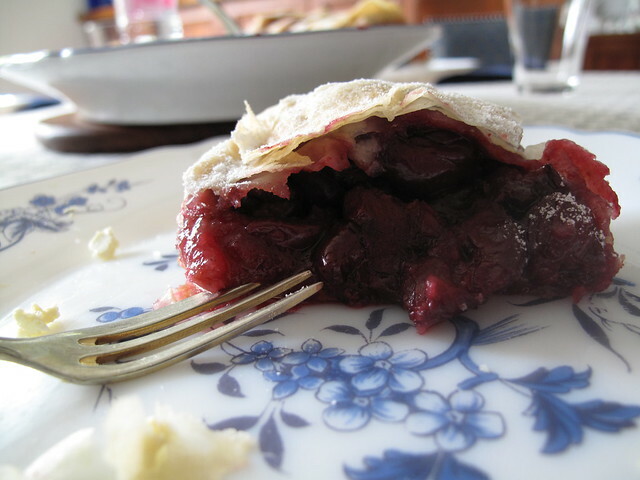 It’s a pasty pie cooked with plums, strawberries, apples, cheese or chocolate as filling. It’s then topped with confectionery sugar. Kolbasz are better known the English-speaking world as “Hungarian smoked sausages”. They are often prepared with paprika, and eaten dried and in small pieces. Kolbasz is prepared depending on the region where it came from. Gyulai and Csabai are the two most famous ones. It’s my favourite food from the bunch – and has this special ingredient that makes you want to eat more (maybe it’s just me though). Hungarians are so crazy for Turo Rudi’s that they even ran out of stock when we attempted to buy from one of their supermarkets (and it wasn’t even zombie apocalypse). And what is there to go crazy for? Honestly, I don’t know. That’s it – I don’t think you’ll be rushing to Hungary anytime soon with this post. But with a good ruin bar nightlife, amazing sceneries and now good food, I don’t see any reason not to go! Bon appetit! Images from helmsjan, 1yen, JuditK, robot-girl and Backpack foodie – under creative commons at the time of posting. Have you sampled any of these Hungarian culinary treats? 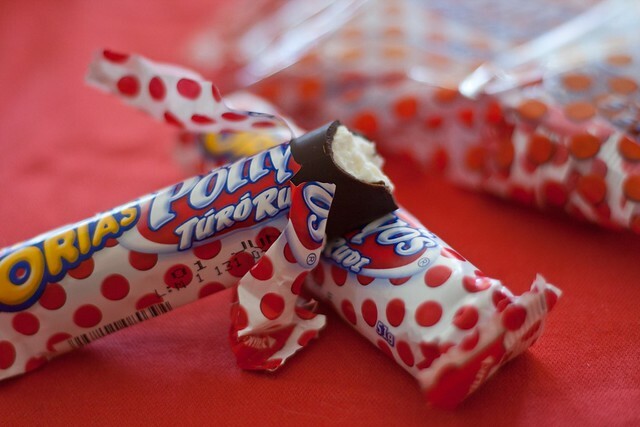 What are the other must try delicacies of Hungary? Share them below. Yummo Jerick! This all looks delectably good. I think I would start with some cheese and Kolbasz, then demolish some Retes and finish up with a Turo Rudi…ahhh, I’m hungry now. Looks like delicious.. wanna try to eat langos.. Thanks for posting.. excellent photos! yummy to look! They all look sooooo good! I think I’d most like to try the Retes. I just tried to eat the langos. It. Sounds. AMAZING. Central European food doesn’t have the best reputation in general, but I found it to be hearty, filling, and full of cheese and sour cream. Always a good thing. Langos!! Replacing Kebab ever since I’ve been to Hungary!